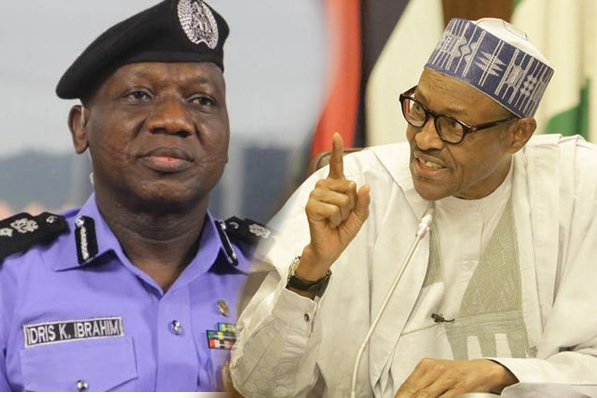 President Muhammadu Buhari on Wednesday stopped the Inspector General of Police , Ibrahim Idris, from inviting the candidate of the Peoples Democratic Party in the governorship election slated for Saturday in Osun State , Senator Ademola Adeleke . A presidential source , who spoke on condition of anonymity because he was not permitted to speak on the matter , told some State House correspondents that the President had directed that Adeleke should not be invited until after Saturday ’s election . The Police Public Relations Officer, Jimoh Moshood , had in a statement told Adeleke and four others to report to the Special Investigation Panel , Force Headquarters , Abuja , immediately for arraignment in court. In the police invitation, Adeleke was told to report to the Force Headquarters , Abuja , for arraignment on examination malpractice, criminal conspiracy and impersonation. He was asked to report to the Special Investigation Panel alongside one Sikiru Adeleke , the Principal of Ojo -Aro Community Grammar School , Alhaji Aregbesola Mufutau; a worker who facilitated the registration of candidates for the National Examination Council in the school, Mr Gbadamosi Ojo ; and a teacher who allegedly facilitated the crime, Mr Dare Olutope . The Force spokesman in a statement on Wednesday said it had filed charges against the aspirant and his co - accused . The charges were reportedly filed at the Federal High Court , Abuja under the Examination Malpractice Act , CAP E 15 , 2004 , on Wednesday . The PDP , however , cautioned the police to desist from acting the script of the All Progressives Congress against Adeleke . The PDP described the latest twist in the Adeleke certificate scandal, leading to what it described as laughable trumped - up charges by the police , as horrible, nauseating and displeasing . The National Publicity Secretary of the PDP , Kola Ologbondiyan , in a statement on Wednesday said the allegations that Adeleke was involved in an exam malpractice in 2017, as well as his invitation by the police barely two days before the governorship election in Osun, was a ploy by the APC to distract the PDP candidate and put him out of circulation before and during the election . He said, “While the PDP is not against any legitimate effort by any security agency in the discharge of its duties , we totally reject this unrelenting attempt to use trumped -up charges to take down our candidate simply because the APC has realised that he is coasting to victory. “Perhaps , the police needs to be educated that the West African Examination Council has already confirmed that Senator Adeleke sat the body ’s examination in 1981 , thus ending the earlier unnecessary controversy about his WAEC status. “Moreover , this is the same police that have not been able to invite the disgraced erstwhile Minister of Finance, Kemi Adeosun , over her forged NYSC Exemption Certificate ; or the Special Assistant to the President on Prosecution and Chairman of the Special Investigative Panel for the Recovery of Public Property, Chief Okoi Obono - Obla, whose certificate , WAEC openly told the National Assembly , was fake . Also, the Deputy National Publicity Secretary of the PDP , Mr Diran Odeyemi, said the police had been compromised . Odeyemi in a statement said the harassment of the candidate of the opposition party was an indication of what would happen during the poll, urging the people of the state to be vigilant . The statement read in part, “We affirm that our candidate , Senator Ademola Adeleke, is not involved in any form of conspiracy to commit examination malpractice at any point in time . Odeyemi said the PDP was confident that the party’ s candidate would emerge victorious on Saturday .